Imported spec Dodge Charger with Cruise control, 20″ wheels and Rear camera. Price reduced! GCC spec Dodge Charger, grey/silver sedan with other color interior. It features fog lights, 20 inch wheels and cruise control. Price: AED 75,000. 6 cylinder black 2016 sedan. Beige interior. Leather seats, 15 inch wheels and MP3 interface. 8 cylinder red 2016 sedan. Black interior. Cruise control, 20 inch wheels and sport package. Price: AED 125,000. 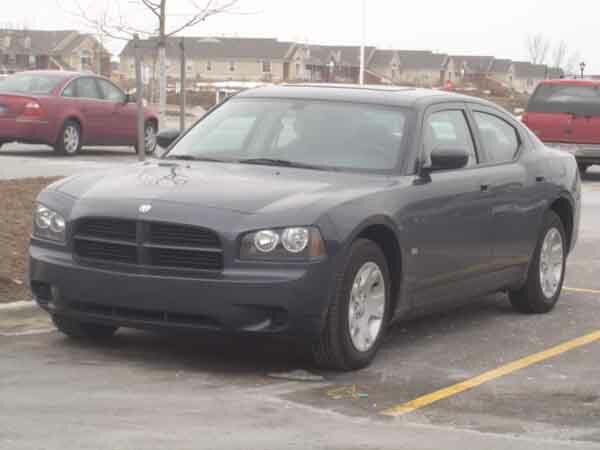 Automatic Dodge Charger with 20 inch wheels, bluetooth system, power seats, grey/silver on the outside, black interior. 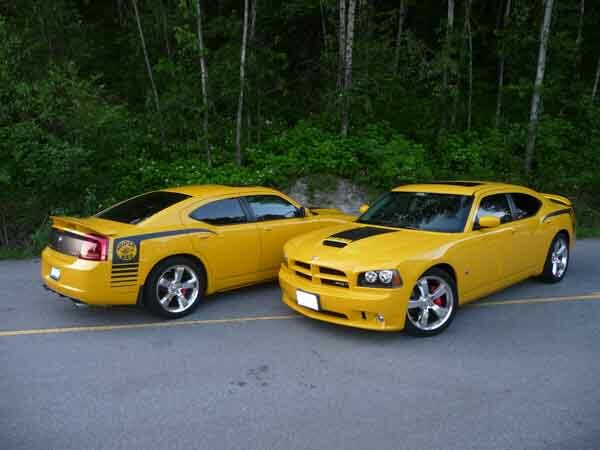 Automatic Dodge Charger with 19 inch wheels, air conditioning, airbags (front and side), black interior, yellow exterior. Opportunity! 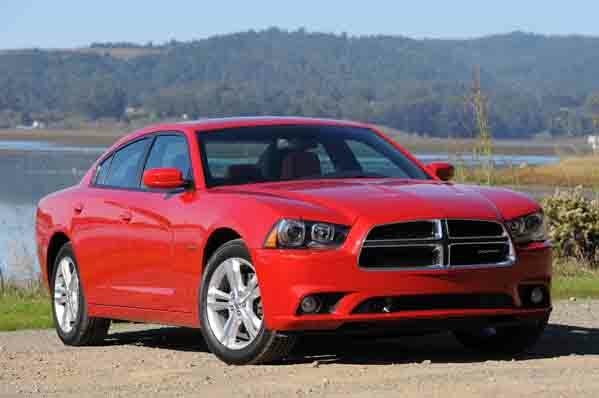 A 2014 red Dodge Charger R/T 100th Anniversary Edition now available at a reduced price. Grey/Silver 2018 8 cylinder sedan. Black interior. It has CD player and power locks. Red 2018 8 cylinder sedan. Price AED 85,000. Black interior. It has ABS and power windows. 8 cylinder grey/silver 2019 sedan. Black interior. Power windows, 18 inch wheels and airbags (front and side). Tanya - I got my import pre owned V6 SE Charger a few years ago online. At first, I was worried about the decision, but it grew on me over the years. Options are great, and like every other American vehicle, it’s like a couch on wheels. Next year I'd like to get an RT with a HEMI engine. Pros: Comfort, space and power. Cons: Fuel consumption and maintenance. Carl - Got my second hand SRT Hellcat with the 6.2L Supercharged engine last month and what a fantastic car it is! I had the V8 R/T before hand, but this blows that out of the water with its 707 horsepower on tap not to mention the colour is outstanding. Pros: Sound, comfort, engine and options. Cons: Blind spots and price. Darwish - When I moved from the US to Dubai, I had to export my SRT 392 6.4 Litre Charger as I just couldn’t part way with it, I looked for a one with a 5.7L V8 HEMI Engine but couldn’t find one for a good price in UAE. Perfect cars for the region, the a/c is cold; there's plenty of space, and it looks great. Pros: Space, comfort and engine power. Cons: Fuel consumption and blind spots. Need a four-door sedan with immense power? Then you need a Dodge Charger equipped with 5.7-litre V8! Not enough for you? Get a 6.4-litre instead! You’ll be getting the kids to school in no time. Top trim models are well equipped. Sunroof, power seats, Bluetooth, Navigation, keyless start, parking sensors, reverse camera and more. With the two previously mentioned points, the Charger is excellent value for money as it stacks up at half the price of other vehicles that pack similar power units and options. All-wheel drive is available. UAE residents are only granted access to the rear wheel drive model. However, a grippy version of the powerful sedan is available in export markets. In 2006, when the vehicle’s nameplate was revived, the interior grew to accommodate tall people and individuals who prefer more room. 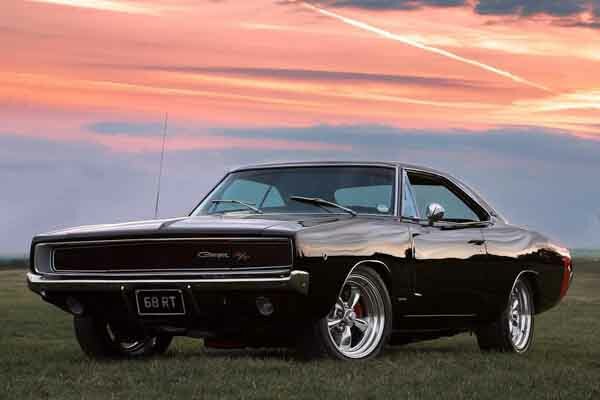 Born in the early 60’s, the Charger first appeared as a show car in 1964. A year or so afterwards, it latched on to the Dart GT as a trim option and eventually in 66, it became it’s very own model to rival, fellow American muscle cars. 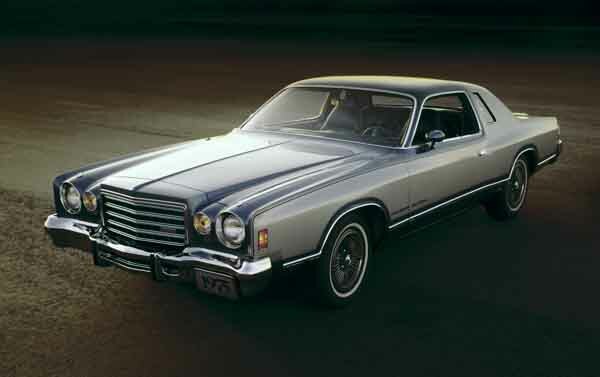 In its earlier years, the powerful muscle car featured two doors until its demise in the late 80’s. Upon returning in 2006, two extra doors appeared as the Charger was revitalised with a larger presence, more room and the same powerful nature. Road Rivals: Chrysler 300 , Ford Taurus, Mercedes-Benz C-Class and the Chevrolet Caprice. After some back and forth debating, the Dodge Charger entered its first generation with sleek bodywork, two doors and four seats inside. Unlike its rivals or most vehicles of its time, the rear seats fold down to create extra room for carrying extra loads. Interior and exterior options are basic in today's world but back then options such as power windows and a radio tuner were seen as a luxury item. V8 motors solely power the rear wheels of the first generation with various displacements on offer mated to either a 3 or 4-speed manual or a 3-speed automatic gearbox. These model years are the only Chargers to sport the Fratzog logo. Want to buy a pre owned Dodge Charger for sale in Dubai, UAE? Finding a model like this here has proved difficult, and no price is known. After just two years, the Charger entered its second generation with a complete redesign. The front grille now has a split in the middle; the rear end flows into a moulded spoiler, and new rim designs were applied to each corner. Inside, the American brand changed a few things here and there to spruce up the interior. Dodge removed the tachometer as a standard feature. 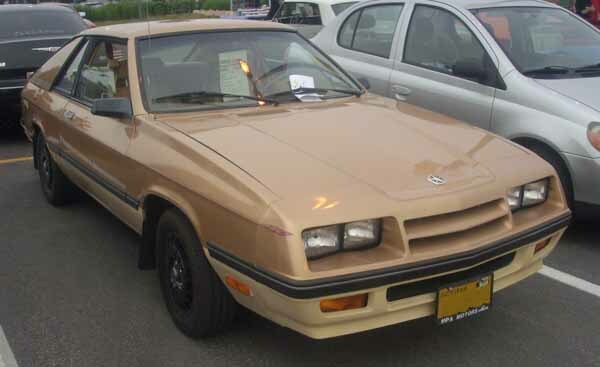 Other features remained similar to the previous models and as the times went by Dodge added new features such as a wraparound chrome grille, numerous paint jobs including one called Top Banana. 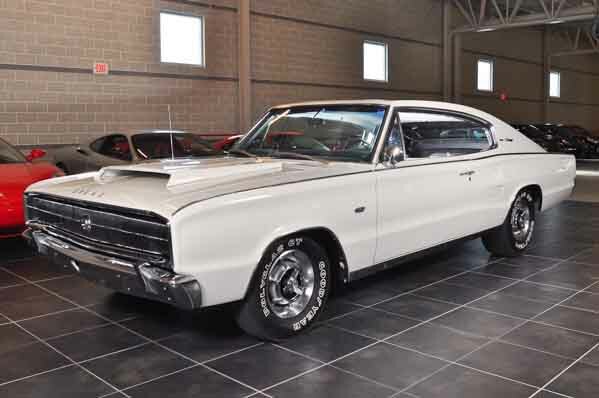 These years saw the introduction of many model variants including the Super Bee, R/T, Charger 500 and the rare Charger Daytona. 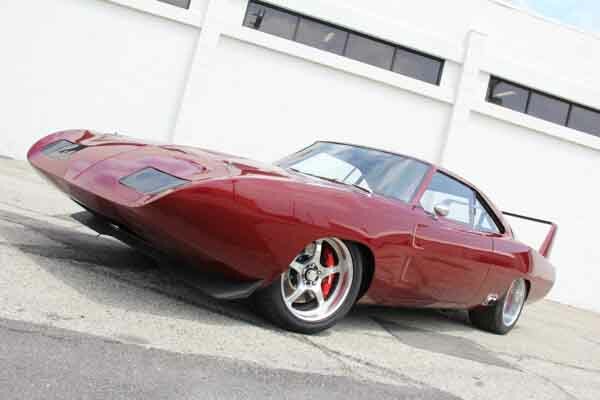 Each of these models sported their own characteristics which included exclusive paint jobs, different trims and for the Daytona versions a massive rear spoiler and a new nose. The Charger’s popularity spiked during this time as it played a vital role in the popular TV series Dukes of Hazzard. Sporting a bright shade of orange paint, a Confederate flag and the numbers 01 on each side. More commonly referred to as General Lee, the charger would fly through the air, burst through police blockades and looked good doing so. V8’s once again returned to power the rear wheels, but for those looking for one with a smaller engine might get lucky and find an inline six hiding underneath the bonnet. Controlling the rear is a selection of manual and automatic transmissions. Want to buy a used Dodge Charger for sale in Dubai, UAE? Prices are unknown for these years. After a successful run over three years, Dodge unveiled their latest version of the Charger. Now in its third generation, the split grille returned with a larger split in the middle, headlights are no longer hidden on certain models, and it’s overall shape appears slightly different to the previous generations. The cabin received an overhaul despite featuring many options found in previous options. Throughout the year's various options were made available or dropped altogether including the rare triple opera window. The straight six returns as do the various displacements available with the V8. Power is exclusively sent to the rear wheels via a manual or automatic gearbox. 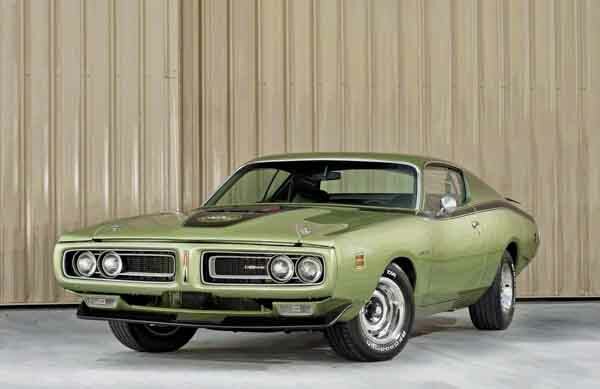 500, R/T, SE and Super Bee models made the transition into the third generation as well. A Rallye version was added to the lineup in 1972. Looking to buy a second hand Dodge Charger for sale in Dubai, UAE? Prices start at AED 75,000. In its fourth generation, the Dodge Charger is radically redesigned and appears to be hunting down the Cadillac’s and Lincoln’s of the time instead of the Mustang and Camaro. Gone are the front grille and hidden headlights that take over the entire front end. Instead, four round lighthouses are visible and are separated by a smaller grille. Changes also apply to the rear end and interior. Options once again are similar with cruise control now available as are various other options. The inline six is not available, and only three V8 motors are available with displacements ranging from 5.2 and 6.5-litres. Want to buy used Dodge Charger in Dubai, UAE? Prices aren’t known locally. After a brief hiatus, the Charger returned with an all-new body one again. Enthusiasts tend to not remember these models as they certainly weren’t head-turners and were extremely underpowered compared to previous models. None of the special editions returned. Instead, Carroll Shelby modified a fair few models to create the Shelby Charger and Charger GLHS. Shelby worked on the suspension and exterior looks instead of speed. However, they did increase the horsepower to 107 and 110 respectively. GLHS models boasted, even more, power (175 hp) along with a unique look inside and out plus exclusive badges. 1,000 of these models are said to have been built. No inline six or V8’s are available, only four cylinder motors power the front wheels. Mated to either a manual or automatic gearbox a mere 70 horsepower is generated. Prices for these used Dodge Challenger's for sale in Dubai are unknown and for good reason. After almost 20 years of lying around, the Charger name returned once again. This time on the rear end of a four-door sedan. Base models are equipped with 17-inch rims, power accessories, keyless entry, ABS, electronic stability control, air conditioning, CD player, radio tuner and telescopic steering column. Optional extras include leather seats, power seats, media inputs, sunroof, digital a/c, spoiler, navigation, memory seats, rear entertainment package and premium sound system. Trim levels available: SE SXT, R/T and Road/Track performance pack, Daytona R/T and SRT8. V6 motors are standard with optional V8’s available in higher trims. Rear-wheel drive is standard with the all-wheel drive being optional as well in select markets. DUB Magazine got their hands on around 2,100 Chargers and put in their own enhancements. Upgraded brakes, enhanced media system, subwoofer and sound system, are just a few options. Now in its seventh generation, the Charger sedan bears similar markings to the previous generation. More refined grooved are visible on either side and the vehicle's hood along with a new grille which is highlighted in chrome instead of covered by the colour, new headlights are on offer as is a reworked rear end as the lights now take up half of the back. Base options remain similar to previous models. Optional extras grow to incorporate keyless go, paddle shifters behind the steering wheel, upgraded navigation and media system, moonroof, LED’s parking sensors, blind spot mirrors plus all the extras from the previous models. Both the V6 and V8 are on offer once again with various displacements. Exclusively powering the rear wheels is an automatic gearbox with a variety of speeds with the all-wheel drive still being available in export markets. Many special editions are available alongside the returning trim levels. In 2015 trim, the Charger received a major overhaul to the front and rear end. New headlights along with a tightened grille make the vehicle more aerodynamic whereas the rear ends massive lighting rig is slightly smaller than before and now features LED’s in certain trim levels. SRT Hellcat models also made their grand debut in the same year. A ludicrous 707 horsepower shoots out of the rear end which is generated by a supercharged 6.2-litre V8 petrol motor. 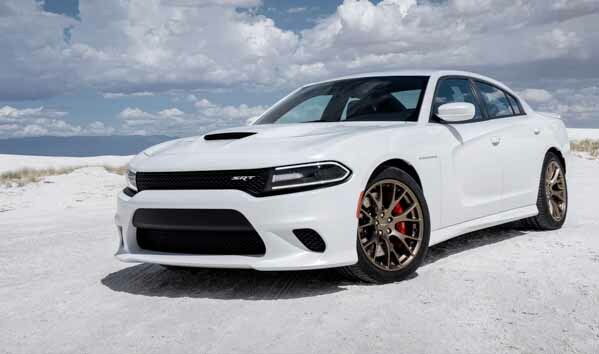 With its exclusive looks and badges, the Hellcat is claimed to be the fastest factory four-door sedan ever built with a top speed of 325 km/h and a 0-100 time of just 3.5 seconds.